Weatherfoil has been providing flueing systems for fuel fired heating systems for over thirty years, initially for oil heating appliances and then gas and wood heating. We have developed a complete range of domestic wood heating appliance flueing systems and components that will suit most makes and models on the market. We supply complete kits or replacement components for existing systems. Our wood heater flue systems are designed and manufactured to comply with the default system designated in the Australian Standards. That simply means our systems are built to a standard that fully satisfy regulations and are approved for use without requiring test certification. It is of course the installers responsibility to ensure the systems or components are installed to conform with regulations. For difficult installations we can supply custom components to suit the application and give advice on installation requirements to meet the governing regulations. 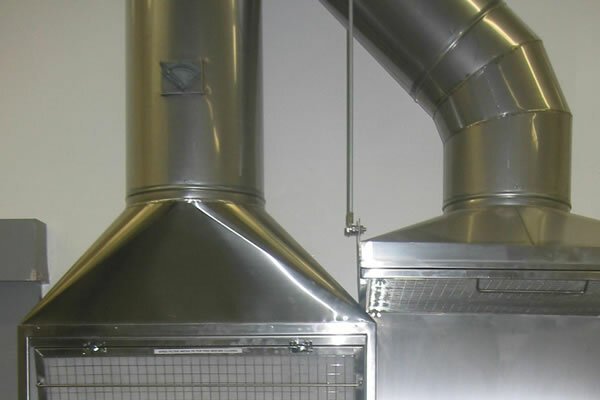 As well as appliance flueing we manufacture flueing to suit many commercial or industrial applications such as boiler flues, venting of fumes from vehicle exhausts, industrial or commercial processes, welding hoods or fume cupboards etc. Our experienced staff are always happy to give advice on any flueing application you may have.